This holster is for guns with lasers attached to them. 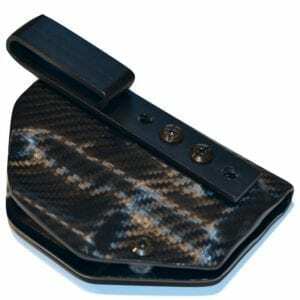 For OWB Carry Simply Order the Opposite Hand Holster. 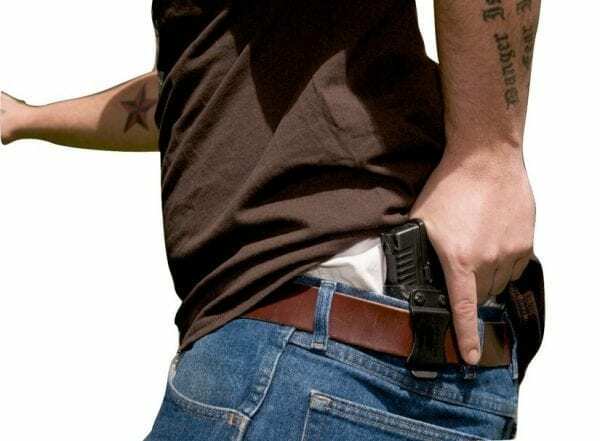 Our In the Waist Band (IWB) Protector Concealed Carry Holsters- Laser Models are designed to be an affordable all day carry holster. Our adjustable gun retention reducing the risk of your weapon falling out and potential damage. Utilizing a Passive Retention System eliminates concerns for a need to add a Positive Retention. 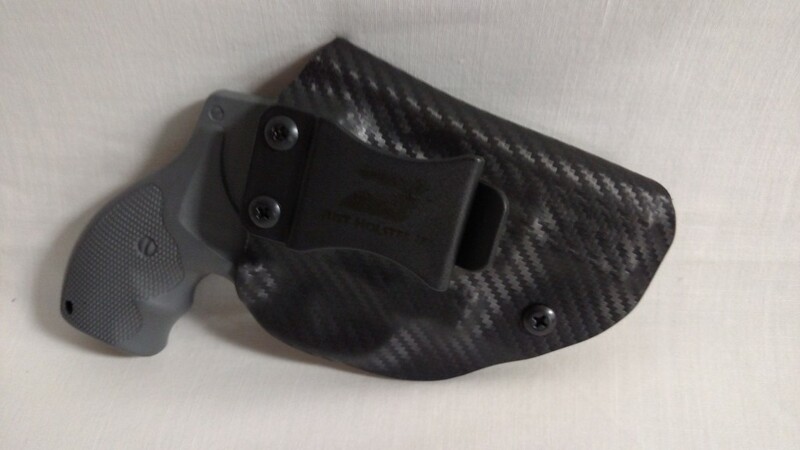 We ONLY use .08 thick Carbon Fiber Material in our IWB Concealed Carry Holsters, giving you the most durable and best looking product. 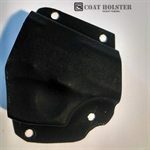 Just Holster It is home to the patent pending Versa Clip. The only clip on the market that provides for 15 degree CANT adjustment in either direction. 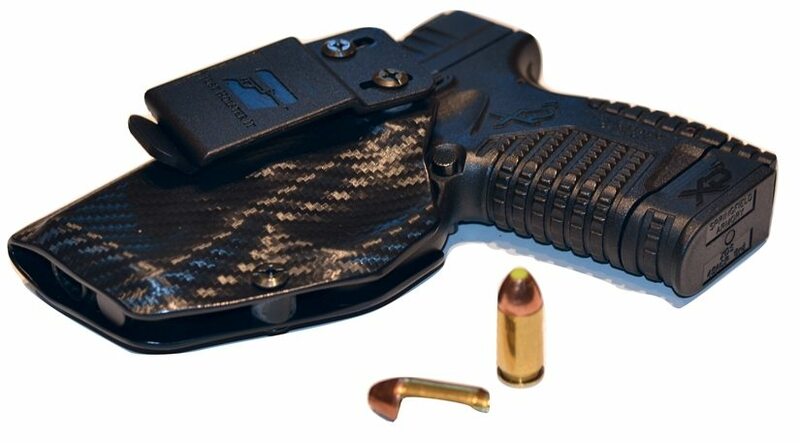 This Multi-Functional concealed carry holster offering a variety of wear options. Appendix, Strong Side, Crossdraw, Small of Back, and Kidney. 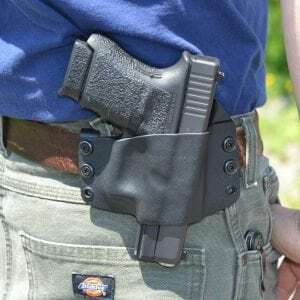 If you are looking for the same style Rigid IWB Holster with a slide shield then check out The Protector Plus Concealed Holster. 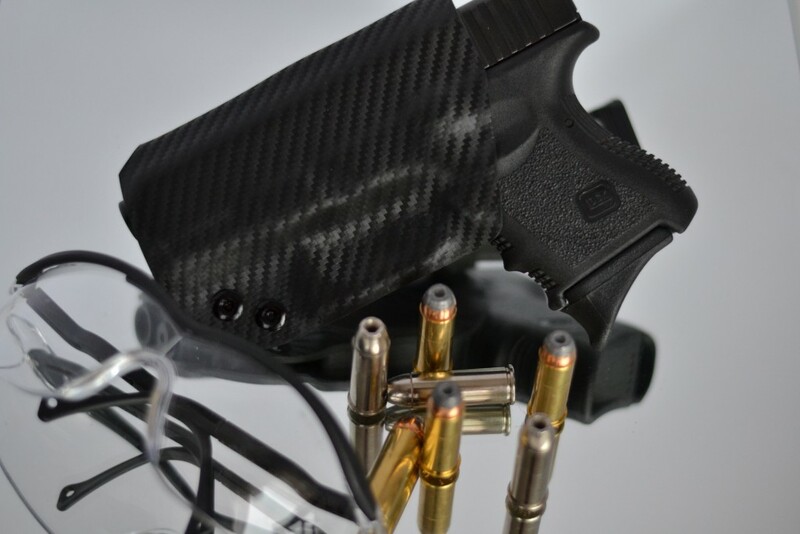 All of our concealed holsters come with the Lifetime Warranty Seal of approval. So unless you run over it with a truck know that your concealed carry holster is as protected as you are.